A lot goes into choosing an engagement ring. Between price, style, and sustainability, we hate to throw one more deciding factor into the mix, but here we are. Just as it is with clothing, not every ring style looks good on everyone's particular hand shape. There are certain cuts and colors that simply look better on one hand shape versus another. That's not to say you should solely base your engagement ring purchase off the information we're about to share with you, but if you are completely lost on where to start your search, we suggest you start here. We reached out to the lovely experts at JamesAllen.com, one of the fastest-growing diamond retailers in the industry, for a little lesson on how to find the most flattering engagement ring for your hand. Ahead, you'll see a foolproof guide to discovering which shapes you should go to if you consider yourself to have large knuckles, tiny hands, and so on and so forth. A little push in the right direction is never a bad thing, especially when it comes to a market as saturated as engagement rings, which is exactly why we are so excited about the tips and tricks ahead. Go on to find out what the team over at JamesAllen.com has to say about the most flattering engagement rings for your hand shape. 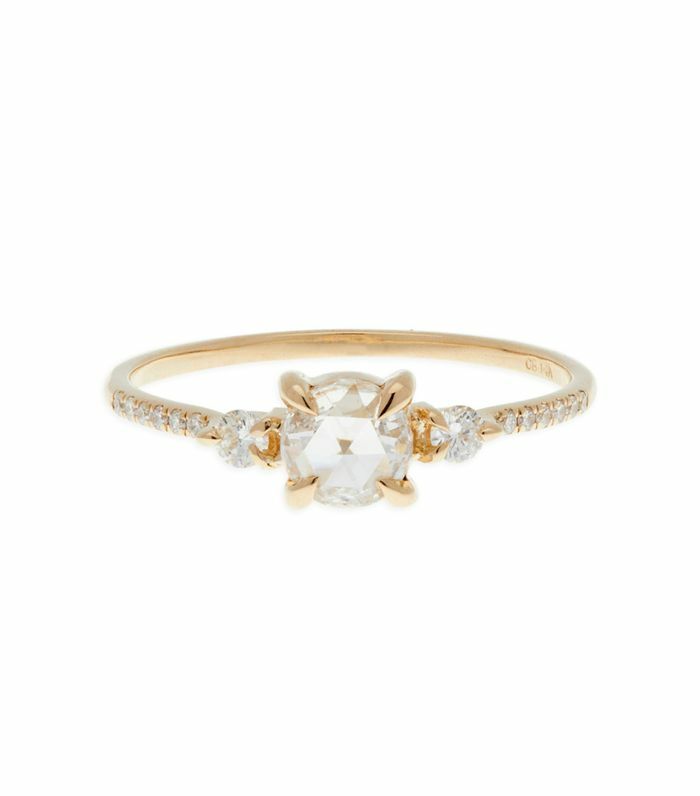 "To avoid overpowering slimmer fingers, opt for smaller rings that won't overwhelm you." "To draw the focus from larger knuckles, enjoy the opportunity to experiment with bolder styles and thicker bands." "To elongate shorter fingers, opt for oval or round cuts and slim bands." "To match bigger hands, play around with multiple stones and creative shapes." "To suit smaller hands, look for a delicate ring and stick to solitaire settings." Next up, shop the 10 brands this editor wants to wear all throughout fall.